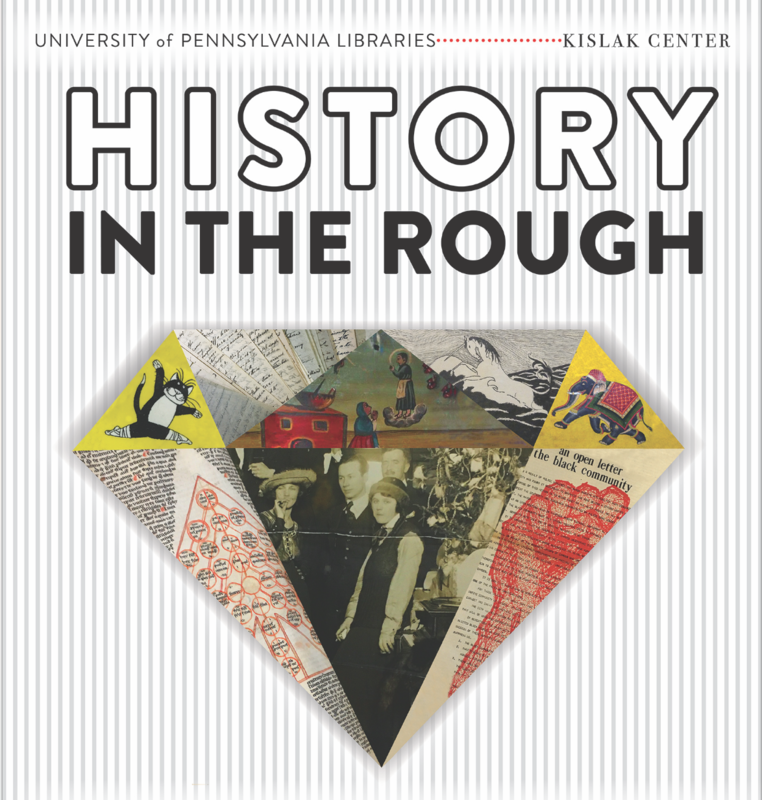 The Special Collections Processing Center is excited to introduce History in the Rough, a series of Pop-Up Exhibits to be held on the main floor lobby of the Van Pelt Library. Special Collections ARE History in the Rough—they are the raw material of our past—unpolished, un-edited, and un-interpreted. We know that history is written by the victors and Napoleon Bonaparte said “history is the version of past events that people have decided to agree upon.” Special collections provide a fuller spectrum of our past—you will find the good, the bad, and the ugly—but it will be someone’s truth. Archival collections hold letters, diaries, photographs, speeches, and articles by people who lived during historic (and not so historic) events. Rare books demonstrate the views of the writers and issues of the time—some were even banned. In the Kislak Center for Special Collections, Rare Books and Manuscripts, you will find thousands of stories … all of which tell part of our larger and collective history. Come to History in the Rough … discover just a few of these stories! This entry was posted in History in the Rough, Uncategorized by Holly Mengel. Bookmark the permalink.